First class is free, come and check out the studio! Kids are natural scientists. Their curiosity and enthusiasm fills them with wonder and sends them hunting for answers. Science Farm allows students to build confidence, character, skills, and knowledge in a fun to be place. Offering private tutoring, group lessons, homeschool tutoring & homework/project assistance. Studio Sessions, 1 hr. Students have access to learning materials, homework and project assistance. This small art universe is a venue for imagination. Boost creativity and encourage art appreciation in the next generation of Savannah! Classes include homeschool tutoring & private art lessons. Parent & Me (Ages 3-4), 45 min. Install an outlet for how much FUN art is. Small projects and lessons that encourage a start in art. The Fundamentals (Ages 5-8), 1 hr. Explore and learn about the artist’s toolbox. Presenting a collaborative environment with the goal to establish a foundation of basic skills for each artist. Next Level Fundamentals (Ages 9-13), 1 hr. Reinforce essentials and add tools to the skill set. Artists are given extra room for creativity and are encouraged to keep a sketchbook to review in class. Private Lessons (Ages 4-18), 1 hr. Classes are gauged upon skill level and tailored to fit each student. College Portfolio Prep, 1 hr. Work towards a cohesive portfolio with a clear focus on unique artistic strengths. Determine the tactics and learn how to present your best self. Ms. MC’s Science Farm. Call Brittany Marks Carnahan (315) 335-4068 or email ms.mctutoring@gmail.com. 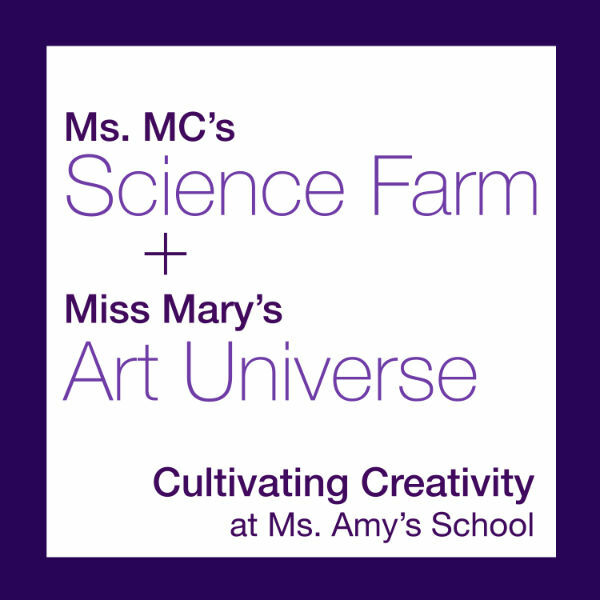 Miss Mary’s Art Universe. Visit maryjosey.com or contact missmarysartuniverse@gmail.com. This entry was posted on Tuesday, August 23rd, 2016 at 8:28 pm	and is filed under After-school activities, Art/Culture/Entertainment, Classes/Programs, Classes/Sports, Drawing/Painting, Home-school, Mommy & Me, Science lessons, Sewing/Fibers, tutoring. You can follow any responses to this entry through the RSS 2.0 feed. Both comments and pings are currently closed.